I’ve never read anything by Balzac, so I thought I would give him a try on a recent vacation with “Cousin Bette”, which is one of his better known works. Despite the fact that the book lacks any characters with any kind of moral dignity (or maybe because of it), “Cousin Bette” is a great read and one I would certainly recommend to those interested in expanding their knowledge of the classics. Given the recent controversy surrounding the leaked emails, it is almost fitting to bring up this fun little novel about our doomed planet – Stark. 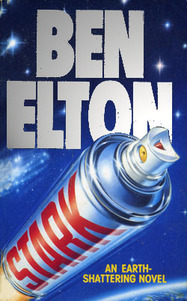 Written by Ben Elton, this story is a different take on the whole environmental issue. Perhaps it is unfair to call it a different point of view. Instead, let's say that Elton tackles the touchy topic with his own brand of cynicism, pointing out that the only thing standing in the way of progress are human vices. It's interesting that the novel dates back to the late 1980s. So many years and yet, everyone is still fighting over the same issue? 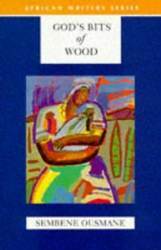 God's Bits of Wood by Ousmane Sembène was one of the first Africa-related novels I read. Prior to that, the foreign novels I read were mostly by European or Asian authors. In these cases, the stories belonged to science fiction, fantasy or historical drama genres. Even when they fell into the latter category, none of them were as powerful as this particular one. True, I had merely been evading the other genres from these regions as opposed to not finding books with similar tones there. Whatever the case, I was pleasantly surprised to find a story with such a passionate tone of voice.